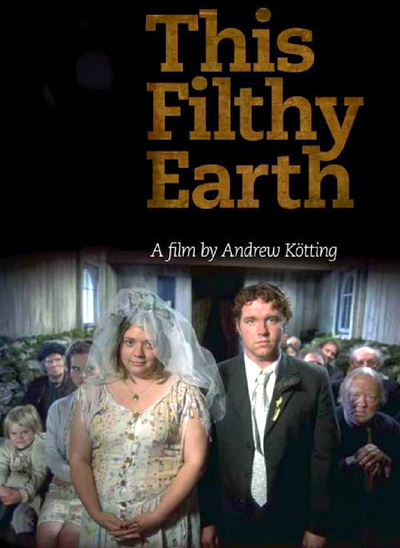 Shot entirely on location in Cumbria and the Yorkshire Dales, "This Filthy Earth" tells the tragic tale of two sisters, Francine (Palmer) and Kath (newcomer Randall). Together with Kath's daughter Etta (Etta Kotting, the director's niece), they tirelessly work the land bequeathed them by their parents. The primitive, swaggering Buto (Attwooll) has designs on their realm, and brutishly proposes marriage to Kath in order to get it. Meanwhile, Lek (Tchili), a stranger and hired hand on a neighboring farm, takes a shine to Francine - much to the consternation of the suspicious villagers who ostracise him, labelling him a "darky". When nature takes its toll, the superstitious locals - led by the cantankerous meddler Armandine (Clough) - look for a scapegoat, focusing their blame and hatred on Lek.